Are you looking for an inexpensive dress to wear for a formal, a cocktail party, or another special occasion? Check out this fabulous selection of cheap dresses that look like you spent so much more. Whether it's a cheap formal dress or an inexpensive party dress, you're sure to find the right long evening dress or short semi-formal dress for any occasion at Simply Dresses. For the woman on a budget, this selection of affordable evening dresses, discount cocktail dresses, cheap party dresses, and inexpensive casual dresses can't be beat. 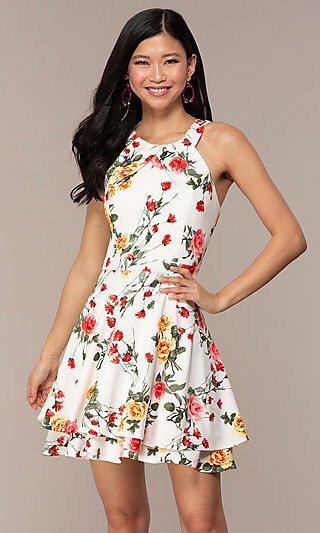 Where Can I Find a Cheap Dress Under $50? If you are looking for a cheap dress that doesn’t break the budget, you have come to the right place. Shop Simply Dresses’ large collection of affordable dresses under $50 to find budget-friendly women’s formal dresses, cheap prom dresses, and discount evening dresses. In need of a cheap party dress under $50? The affordable cocktail dresses, cheap semi-formal party dresses, and discount casual dresses in this assortment of trendy budget dresses will make it difficult to choose just one gorgeous style. 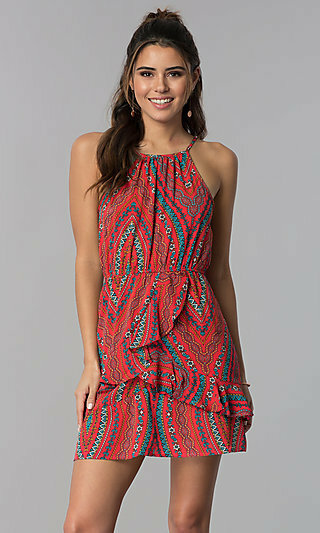 And when the dresses are under $50, why should you? Do you have a favorite color in mind? You can have an inexpensive dress in just about any color and style. Choose a silver or gold cheap cocktail dress for under $50, or a pink, green, blue, or red long formal gown at a discount price. Shop this selection of affordable dresses under $50 to find several cheap casual party dresses for a cruise. With these inexpensive formal evening gowns, discount party dresses, and budget-friendly cocktail dresses, you don’t have to sacrifice quality or style for price.